Overview: former officer for the Honolulu Police Department. But when thousands of dollars vanished from a case he was working, he lost his badge and had to work as a security guard. Steve McGarrett, the new head of the special law enforcement team Hawaii Five-0, doesn’t believe Chin Ho did it. 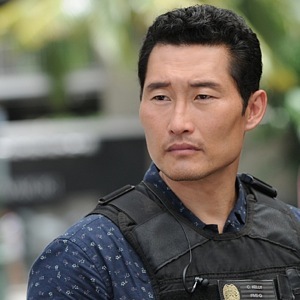 He asks Chin Ho to join Hawaii Five-0, and Chin Ho accepts – it’s his only way to get back into the game. Now Chin Ho is part of an elite group with state-wide jurisdiction, using his police experience, technology expertise, and conversational skills to solve crimes ranging from organized crime to terrorism to drug smuggling. Personality: honest, loyal, and experienced. Chin Ho is always there for his family, especially his cousin Kono. Even though the HPD still suspects him for the vanished money, he has never considered any other career but law enforcement. He is good at talking to people and getting them to open up, and he uses this both in interrogation and as a valuable friend. Chin Ho Kelly's popularity ranking on CharacTour is #2290 out of 5,000+ characters. See our top-ranked characters and read their profiles.